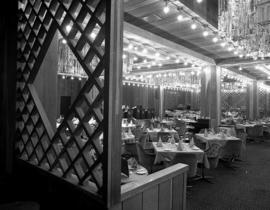 Photographs of the three areas which made up the "Three Small Rooms" of the title: The Wine Cellar, the Grill and the Restaurant. 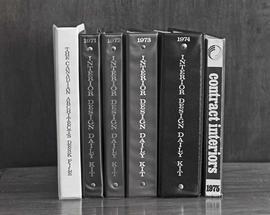 Photographs of the spine of interior design catalogues. Item is a snapshot photograph of a woman sitting on chair in living room. Interior view of a living room with a fireplace. Illustration of a 5600 square metre showroom for interior design and contract furnishings, with a 2-storey granite and glass entry lobby, a landscaped inner courtyard and a 185 square metre exhibition space. Folder contains 5 b&w photographs of the Lansdell House renovation. 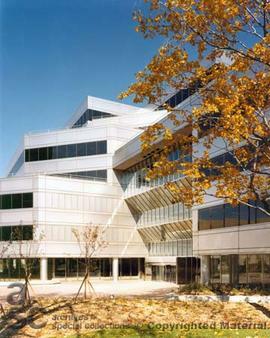 Architect was Fred Thornton Hollingsworth. CA Magazine January 1965. Part of FT Hollingsworth's portfolio. 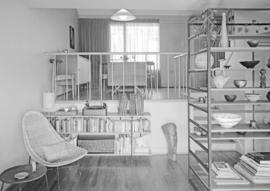 Folder contains 5 b&w photographs of the Hauer Residence, Vancouver, B.C. 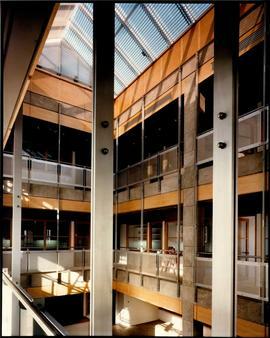 Architects were Erickson/Massey Architects of Vancouver, B.C. 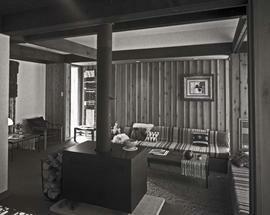 Folder contains 1 b&w print of an interior room of Hammerberg House, Vancouver , B.C. 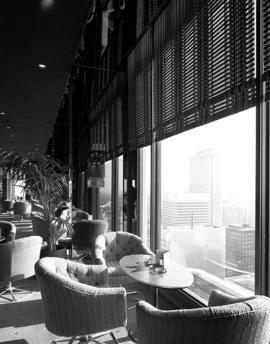 Interior views of restaurant dining and lounge areas. Lighting features rows of exposed brass bulbs, painted drywall and pale wood accents. 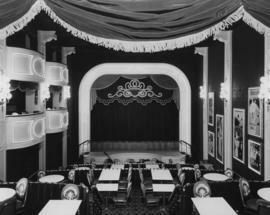 Interior views of renovated entrance and bar area.